Fantastic opportunity out in the country to create your dream home. 11+ fenced acres. 4 bedrooms, 1 bath. Historic gem with character and charm. Needs a little TLC to make it shine. Beautiful views. No HOA. 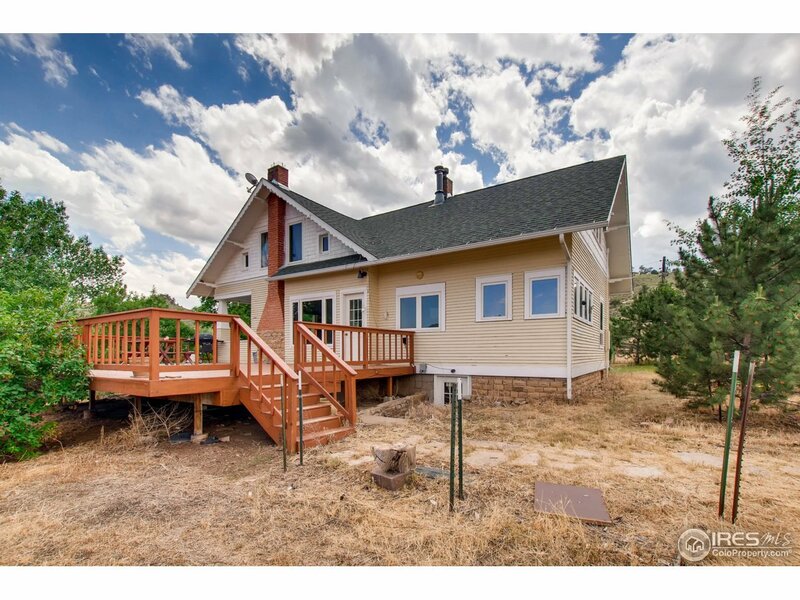 Wood floors, built in china cabinets, large deck, wood burning stoves, large kitchen. Large appr 30&apos; x 50&apos; barn with tack room, corrals, and fenced pasture. Relax on the covered porch, enjoy the peace and solitude. Home is sold as-is. © 2019 IRES Information source: Information and Real Estate Services, LLC. Provided for limited non-commercial use only under IRES Rules. @copy; Copyright IRES. All rights reserved. Information deemed to be reliable but not guaranteed. The data relating to real estate for sale on this website comes from IRES and the Broker Reciprocity Program.sm. Real estate listings held by brokerage firms other than Neuhaus Real Estate, Inc. are marked with the BR logo and detailed information about them includes the name of the listing brokers. Listing broker has attempted to offer accurate data, but buyers are advised to confirm all items. listing information is provided exclusively for consumers' personal, non-commercial use and may not be used for any purpose other than to identify prospective properties consumers may be interested in purchasing. Information last updated on 2019-04-18 13:57:14.